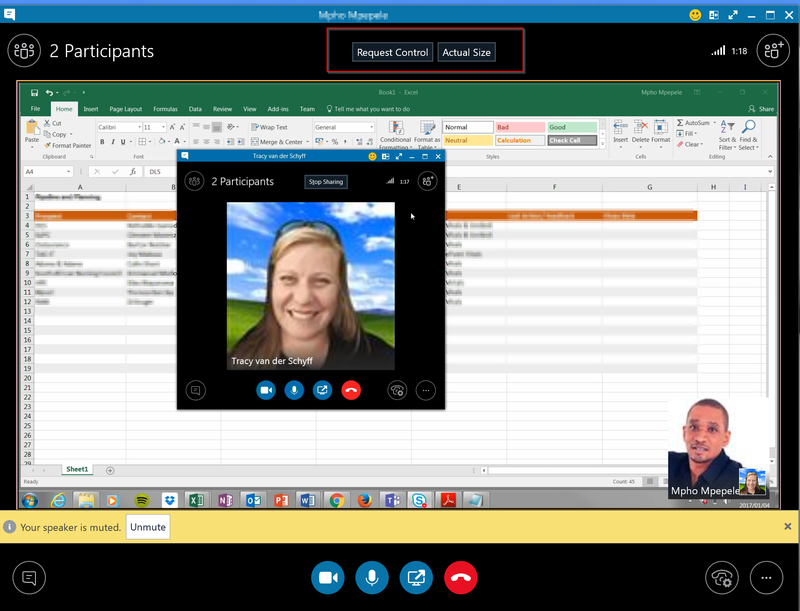 #Office365Challenge Today we’re looking at making audio and video calls with Skype for Business, as well as sharing your desktop and recording calls. 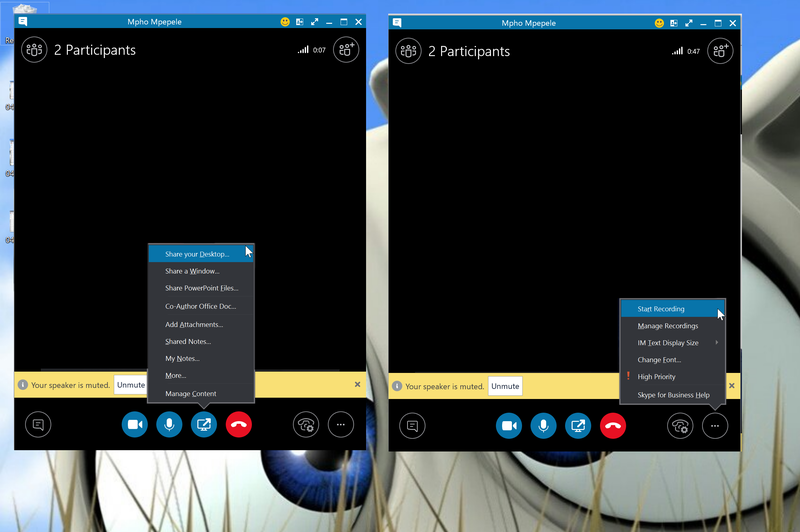 So far we’ve covered the menus, adding contacts and instant messaging. 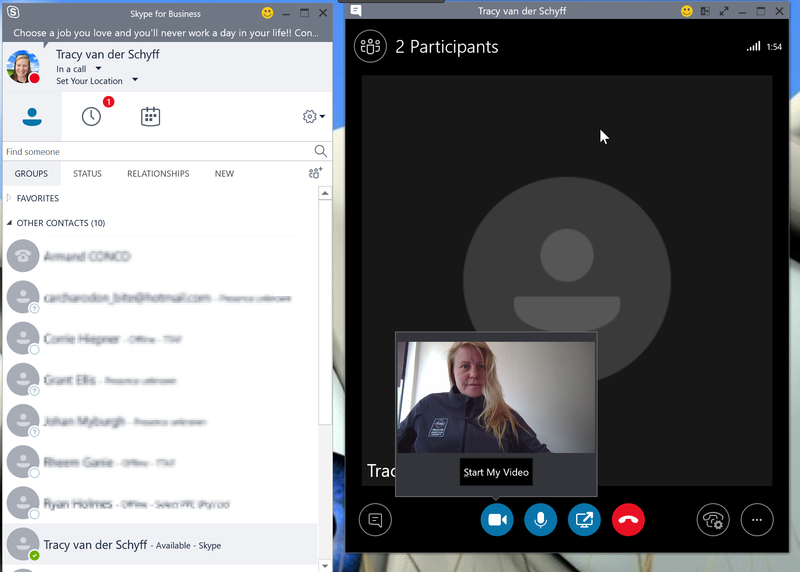 Today we’re looking at making audio and video calls with skype, as well as sharing your desktop and recording calls. 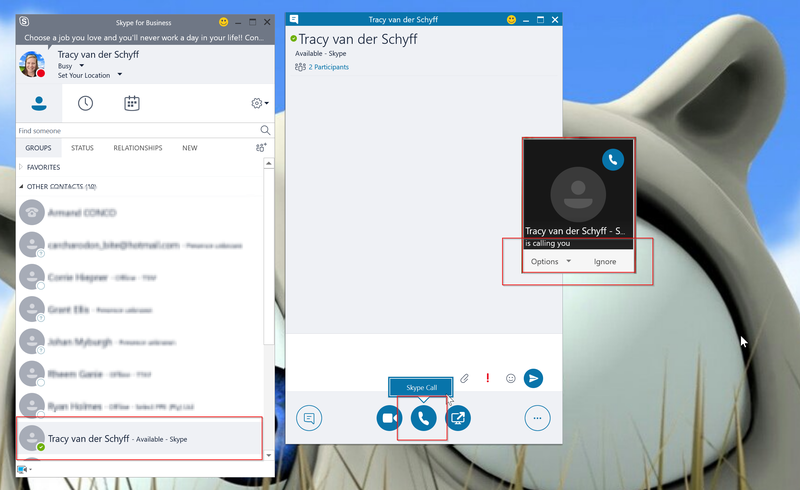 Note: You can change a normal audio call to video call at any time by clicking on the video button. The other participant also needs to select video. 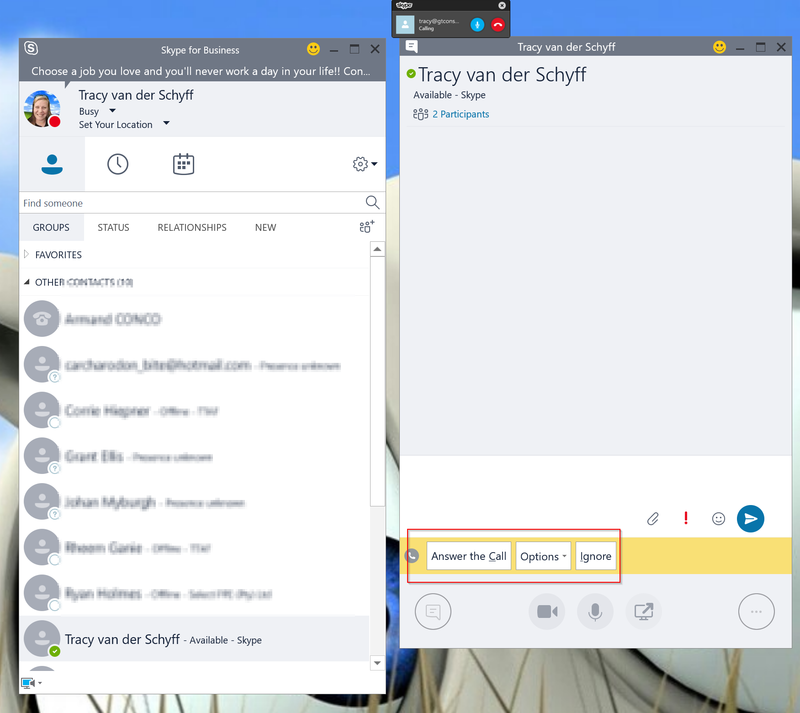 While on the call, click on the Share Button, Show your Desktop allows you to share your desktop with the other person in the call (great for IT support), Share a Window allows you to choose which screen / window to share. You can also choose to Co Author Office Documents. When you click on the Ellipses on the right you’ll notice “Start Recording”. This gives you the ability to record the audio or video call. I use this often in training scenarios – as it allows the student to play back the recording at any time to recap something. When sharing someone’s desktop you can also Request Control. This allows you to actually work on their machine. Again great for training as I can ‘take over’ the student’s machine and show then something step by step. You are not able to do this if the other party does not grant access, and they can ‘take control back’ at any time. Thank you Mpho for testing this with me :-). And that’s how easy that is!! Join me tomorrow when I’ll cover the whiteboard and co-authoring features as well as various settings.